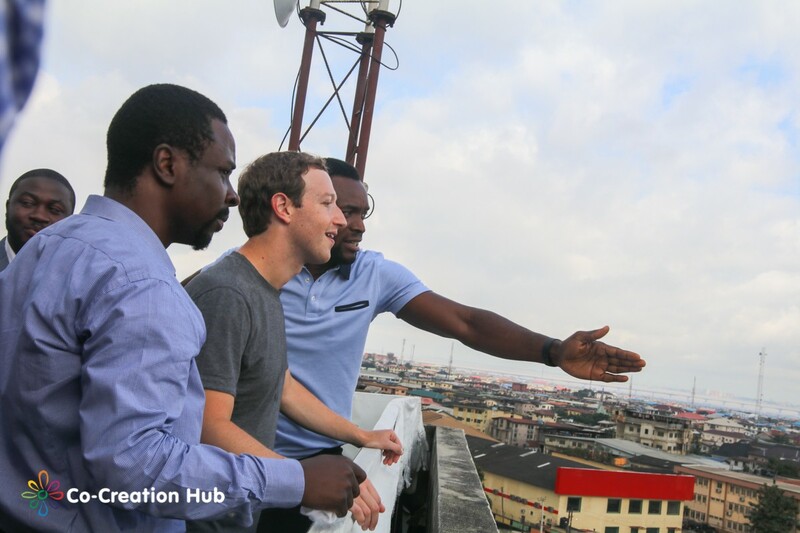 Nigeria – pronounced to be in its worst recession in 29 years on the 30th of August 2016, received a surprise visit from iconic innovator; Mark Zuckerberg on the same day. Whilst the visit broke all known protocols, it was an instructive coincidence that elevated the energy and creativity of young Nigerians as a valuable opportunity to harness. The energy and creativity associated with Nigeria are characteristics touted by local players to eventually propel the country to become a leading light within the global technology space. Despite the obvious lack of a coherent innovation system/policy, a handful of industry leaders have been consistently betting on a renewed role for the industry in the development of the nation. The investment in our work at Co-Creation Hub by Omidyar Network, MainOne Cable Company, Sainsbury Family Trust, Google and support by Lagos State Government amongst others; all account for the tremendous contribution we have made in building a vibrant local ecosystem. Nigeria is notorious for her poor rating on the ‘ease of doing business’ ranking and a stifling regulatory environment for investment. Yet the entrepreneurial spirit of Nigerians and its sheer market size have seen it re-engineer and grow a few competitive industries in the last decade; notably entertainment (music and Nollywood) and now technology. Our entertainment sector not only serves local demand but has also attracted regional and global audiences and consumers. This without doubt is a trajectory the technology industry is already taking. Mark’s visit, at the least, is a much-needed recognition and a sign that the nation is on a path to becoming a contributor to technology advancement. The visit is a signal of the readiness of Nigerian tech start-ups to absorb further investments and resources. Heading straight to Yaba (Africa’s fastest growing tech cluster) within minutes of arriving on the continent took the world by surprise and will inspire a lot more interest from both local and foreign backers. Without gainsaying, a strong innovation system and long-term outlook are crucial determinants of a nation’s ability to create superior value with technology. However, advancements in technology provide us the opportunity to create products that connect our teeming population to vital services and public infrastructure. To harness this rare opportunity, the private sector, backed by the government, must be strategic about our focus on technology innovation and entrepreneurship. At a time when the country is sliding into recession, this visit should act as further evidence that greater support for and investment in the emerging tech sector could be a valuable contribution to economic recovery and future development. a revamp of computer science, engineering and entrepreneurship courses in tertiary institutions in Nigeria. Grow local funding for early & growth stage ventures – despite the obvious increase in foreign investment in the sector, there is still a dearth of funding for early and growth stage start-ups. There is an urgent need to encourage more local funds such as Growth Capital by CcHUB, Greenhouse Capital, Spark and the efforts of the Lagos Angel Network while making it attractive for foreign funds and investors to invest in the sector. Beyond funding for existing start-ups, we also need strategic programmes aimed at building pipeline and backing experimentation (boiling the ocean). Impact funds led by government and developmental partners can improve the attractiveness of the sector while building a case for further private sector investment. Invest in the infrastructure that will enable technology and other sectors to thrive and grow – we need to aggressively identify and fix soft infrastructure that hinders ease of doing business, ease of attracting investment and support for spurring growth of start-ups and SMEs in general. We should also collectively double down on increasing the penetration of Internet across the country. We need to support creative programmes and products aimed at accelerating last mile across the country. Working with business support organisations, government should invest in repurposing poorly used/redundant public spaces (e.g. Libraries) across the country to serve as resource centres for entrepreneurs and creatives. A purposefully supported technology industry in Nigeria will yield multiple benefits of diversifying our economy while enabling superior value creation and competitiveness of many other sectors. We have the human capital and market upon which these value can be built, the missing piece of the puzzle is committed leadership with razor-sharp focus. The cynics will water down the significance of Mark Zuckerberg’s visit but I am convinced it will yield dividends. The scale of these dividends, is what industry leaders, partners and government need to orchestrate for our common good!